Our family owned dealership has been with Kia for over 18 years, but just because we are old friends with Kia, doesn’t mean you should expect an old dealership. Mike Smith Kia has recently opened a brand new remodeled facility that is quite frankly beautiful. Our new showroom includes a brand new coffee bar and a nosh bar. We also have free Wi-Fi. If you end up waiting during your service or even while we are finalizing some paperwork, it’s good to know that you will feel right at home. 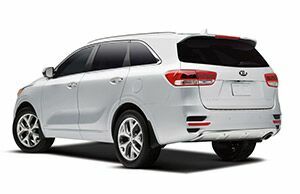 If you are weighing your options with different car brands, then you really can’t go wrong with Kia. Every Kia comes loaded with a surprising amount of features and options that you may just have to see to believe. We have all the most popular Kia models including the Soul, Optima, Sportage, Sorento, Forte, and even the new hybrid crossover known as the Niro. You can browse through our complete selection of new vehicles right online, or you can drive down to Mike Smith Kia and see us for yourself. We can’t wait to help you with anything that you may need from Kia. In addition to our new Kia inventory, we also have a full inventory of used vehicles including many Kia models. If you need Kia service, then we can help you with that too. We also have the OEM Kia parts and accessories that you may need. Our Paducah Kia dealership serves all the surrounding areas including Benton, Brookport, Carbondale, Fulton, Mayfield, Metropolis, Murray, Lone Oak, Princeton, and all points in between. If you live in Southern Illinois or Western Kentucky then consider us your local Kia dealership. We can take care of all your automotive needs here at Mike Smith Kia, just give us a call or stop right into the showroom today!